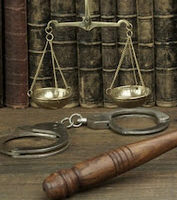 If you are considering a plea bargain in a Delaware criminal case, you are not alone. Though the US Department of Justice admits there are no exact figures available, it is estimated that between 90 and 95 percent of cases are resolved through plea bargains. These numbers include misdemeanors and felonies, and both federal and state criminal matters. There are numerous benefits for both sides of a criminal case, particularly for prosecutors with heavy caseloads and judges with full dockets. However, if you are facing charges, you want to know how a plea bargain would work to your advantage. A knowledgeable Delaware criminal defense lawyer can explain your options and help you navigate the process, but an overview of the benefits of plea bargaining may be useful. Lesser Charges: In most plea bargain situations, the prosecutor will agree to reduce the severity of the charges. This can be a considerable benefit, especially when you can plead down to a misdemeanor from a felony charge. You will face a less serious sentence and can potentially avoid jail time. Plus, the lesser charge does not look as severe on your permanent criminal record. Reduced Sentencing: Even if you cannot work out a plea arrangement for lesser charges, it may be possible to get a reduced sentence for the charges you face. This strategy works best when the potential imprisonment term has a maximum and/or minimum range. For instance, a Delaware Class E Felony is punishable by up to five years in prison, so you may work out a plea bargain for 1-2 years. Quick Resolution: When your arrest was due to your own mistake or poor judgement, you may just want to move on with your life as quickly as possible. Because it avoids a full trial and some of the pre-trial stages of a criminal case, plea bargaining is usually a faster way to resolve the matter. Certainty in Resolving the Case: If your case goes to trial, there are generally two outcomes: Guilt or Acquittal. You will never know the result until the judge announces it, so there is a considerable amount of risk. With a plea bargain, you have the advantage of certainty. The prosecutor lays out the charges and the terms of the plea agreement, including potential jail time, fines, probation, and other details. Once the judge approves the plea bargain and you plead guilty to the offense, the case is resolved subject to you serving your sentence. It is monumentally difficult to reap the benefits of plea bargaining unless you have a dedicated defense lawyer on your side. An experienced legal advocate has extensive knowledge in criminal procedures, along with negotiations skills that are necessary to work out a resolution with the prosecuting attorney. If you are facing Delaware criminal charges and want to know if a plea bargain is an option, please contact Attorney Michael W. Modica. We can schedule a consultation to review your circumstances at our Wilmington, DE office.